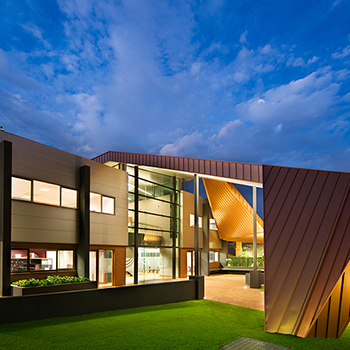 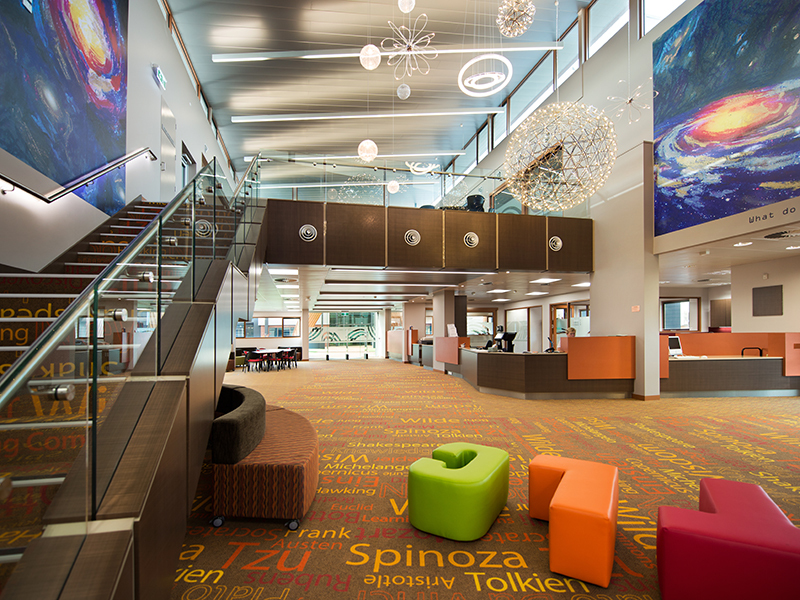 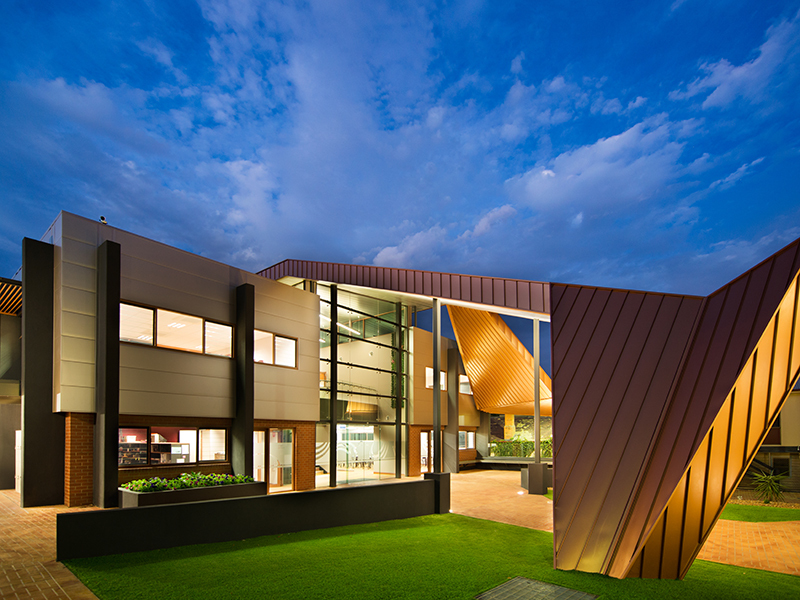 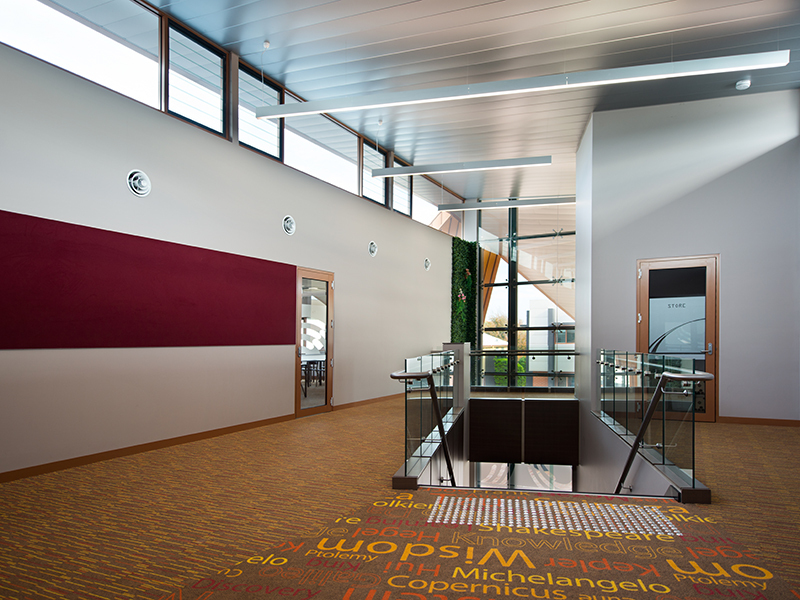 Sonic Lighting was proud to design and supply the lighting for Kardinia International College's Senior Centre and Learning Commons. 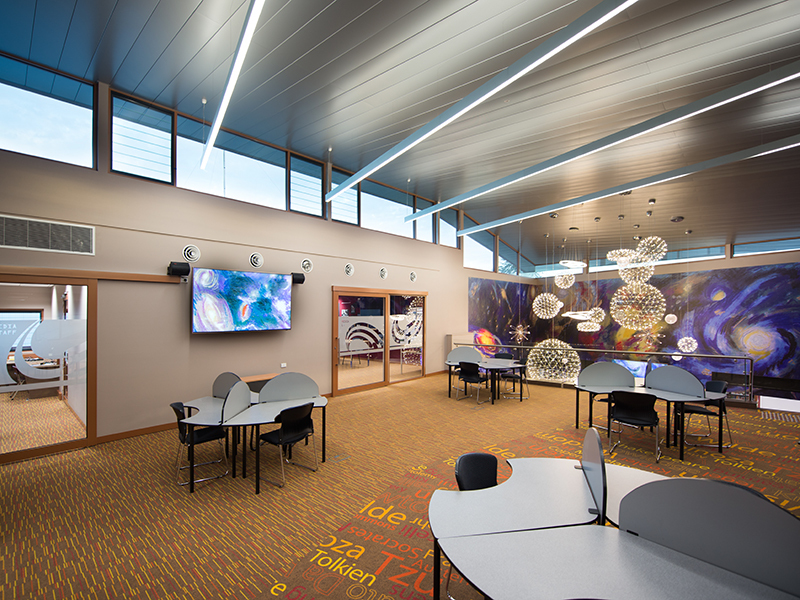 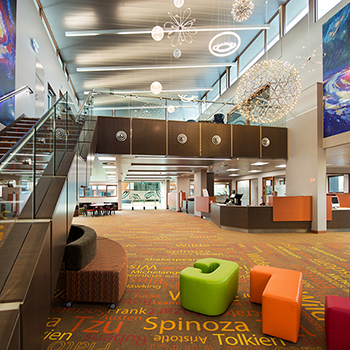 The centre includes library, arts, resources, classrooms, meeting rooms, IT and media all integrated, so the focus is on interaction and flexibility for the future. 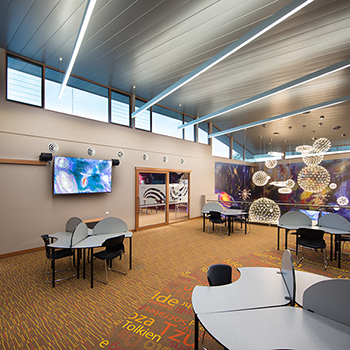 The various interior components required individual consideration for illumination levels and aesthetics. 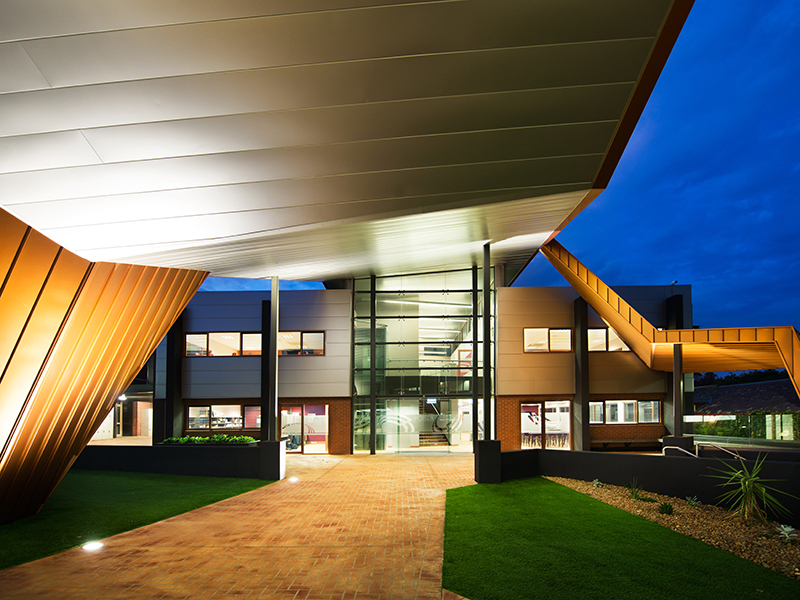 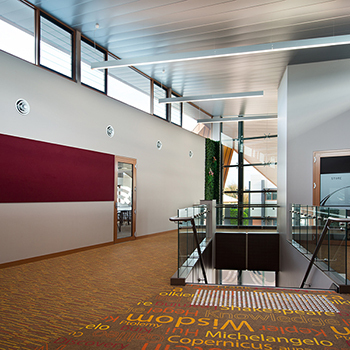 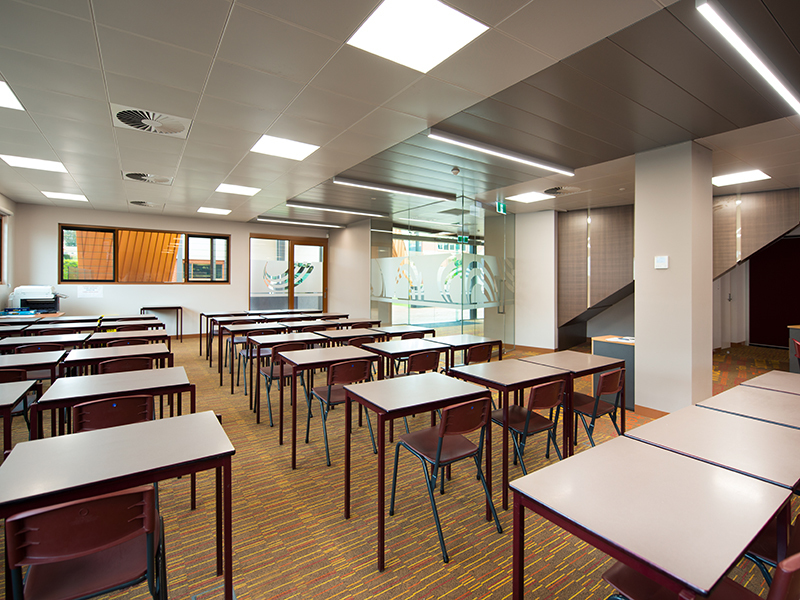 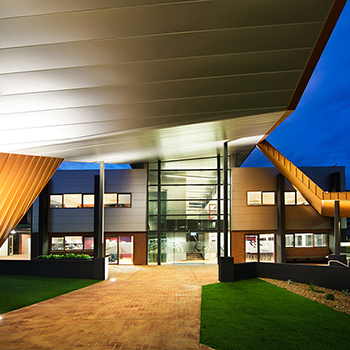 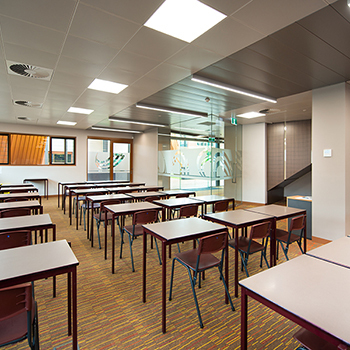 The lighting system works harmoniously with other projects Sonic has completed at Kardinia International College and the result matches the schools mantra which includes modernity and progression, while providing comfortable and inspiring spaces for students and staff.